I recently returned to NYC from Florida, where I was hired to model for some photo shoots. I also went on a vacation in the Caribbean afterward, but that’s another story. The three days of photo shoots were amazingly fun. I had worked with this particular photographer before, and we always have a great time. Plus getting out of the cold weather when film work is slow is never a bad idea! The first two days of shoots took place in the West Palm Beach area. The photographer rented this amazing house to shoot in, which had a pool in the back yard and a water wall in the house. The rest of the decor was really nice too. With the help of a fantastic makeup artist, we transformed me into a Vampire, Chinese Princess, and Old Hollywood Glamour themes. I don’t have those photos yet, but will be sure to post them when I do! The raw copies looked beautiful. We took advantage of the pool and shot a series of swimwear shots using various Victoria’s Secret Swimwear as the wardrobe. This was really fun, and completely different from posing as a Vampire. It was a 180, where I could smile and be fun and flirty with my face and body. The third day was a location shoot. We drove down the coast and then west into the Florida Everglades. 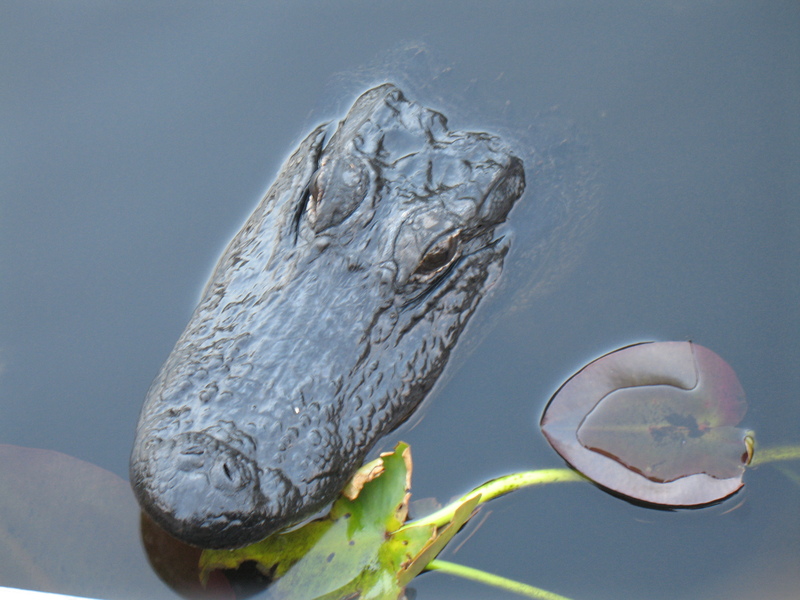 The Everglades are beautiful, wild, and have an amazingly important role in our country’s wildlife and ecosystem. The owner of an Airboat company took us out into the Everglades to shoot. This was a challenge, as we were working on a small boat and had no power outlets or mirrors (other then my pocket one!) for this shoot. We shot on the boat, by an old cabin on an island in the middle of the Everglades, and on a dock. The lighting was fantastic during the late afternoon, but sadly the sun did not cooperate for sunset and we missed it completely. On the boat, we saw all kinds of birds and alligators that roam free in the Everglades. It was quite the experience to shut the boat off and have alligators swim literally right up to the edge of the boat! If you have ever been on an Airboat before, you know how low down, simple and rustic they are. I always am amazed at how much fun some modeling shoots can be. I always love what I do, but I pulled through some 12 hour days for the shoots (an extremely long day for a model to constantly work) and somehow felt more sad then relieved when the work was done. I have attached some behind the scenes photos that Chris volunteered to take for me. I should also give him credit here for working as the photographer’s assistant, jumping in as a hand model, and grabbing food for us, and probably doing another dozen things. Thank you!!!! ~ by Elizabeth on February 1, 2010.